2014 Chevy Silverado trucks aren't available for sale just yet, but you can build a paper one! 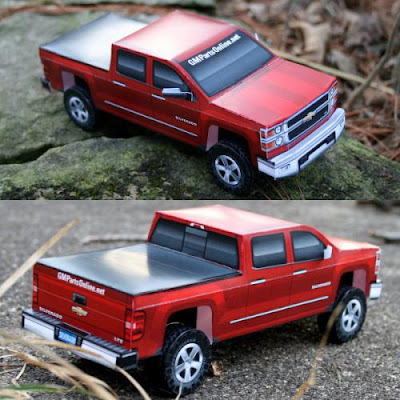 This Silverado paper model was created by Jesse at PaperCruiser.com for GM Parts Online. The free PDF template for the papercraft truck may be downloaded here. The first Chevy pickup to carry the name Silverado was produced in 1975. 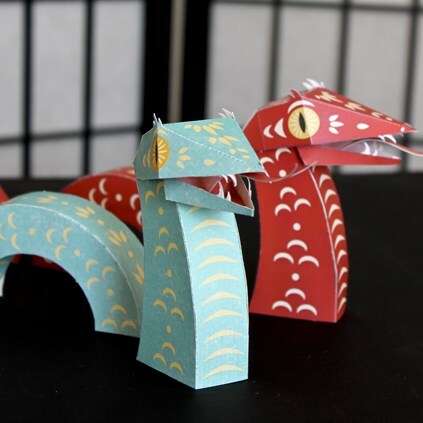 Illustrator Tina Kraus created these papercraft snakes to celebrate 2013 being the Chinese Year of the Snake. With their undulated humps, I think they make pretty nice sea serpents as well. PDF templates for four different colored snakes may be downloaded here. At long last I created a paper model of Kevin Flynn's identity disc to add to my series of papercraft Tron: Legacy discs. I saved the hardest for last. It was tough to make a white on white texture that looked correct. If you build one, you may need to experiment with the darkness settings on your printer to get the right level of contrast. 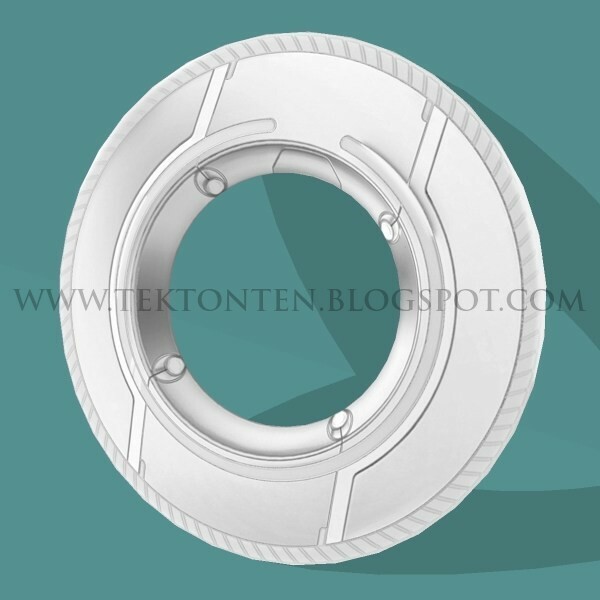 The A4 and Letter size templates may be downloaded here. Kevin Flynn's disc plays an important part in the story line of Tron: Legacy. 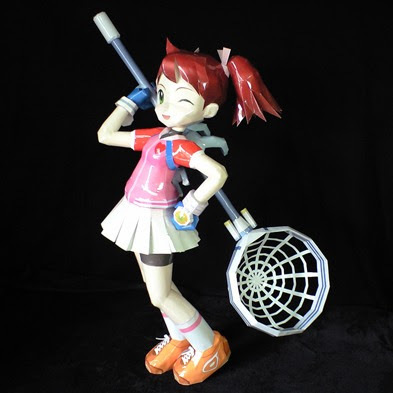 Japanese papercraft designer Kaoru Ogata has several free paper models available on his website, Pepachal.net. Most intriguing to me are his fruit, vegetable, and animal models. In the animal category there is a gold fish and a "smiling" snake. 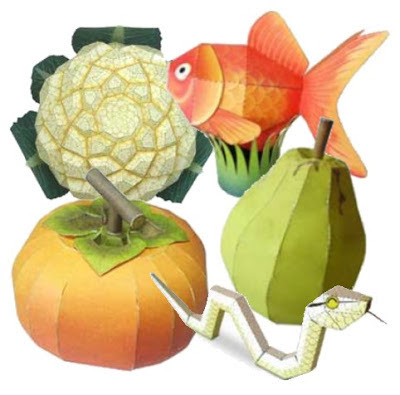 In the fruit category there is a pumpkin (It's a fruit, Google it!) and a pear. In the vegetable category there is a very geometric cauliflower. Indiana Jones never looked so cute! 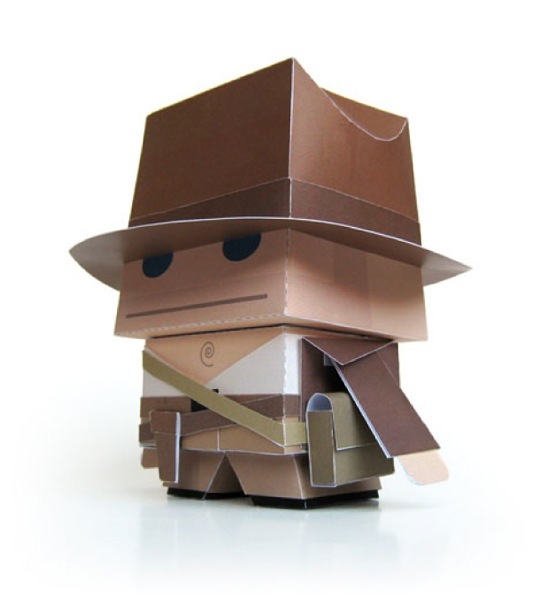 Paper toy designer extraordinaire Marshal Alexander created this papercraft tribute to Indy in 2012. 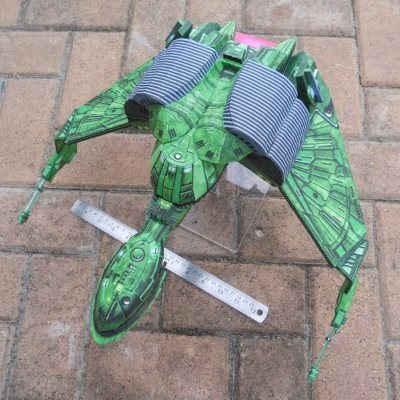 The toy is no longer available at Alexander's website, but the template may still be downloaded here. The most recent Indiana Jones movie to hit the silver screen was Indiana Jones and the Kingdom of the Crystal Skull which was released in 2008. I'm a fan of geometry and bright colors. This modular origami icosahedron brings them both together in one fun project. Modular origami involves folding multiple numbers of a single unit which are then assembled into a larger piece. 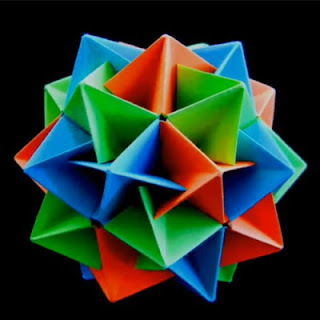 An icosahedron is a 20-sided geometric form. Plato associated the icosahedron with the element of water. A video that shows how to make this origami is located here. Last month I posted an enormous Princess Luna paper model by Znegil. 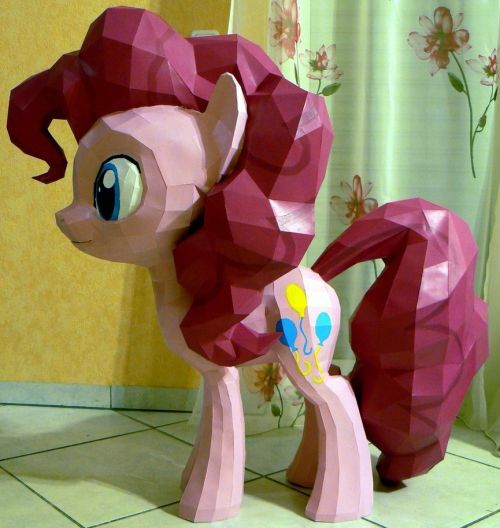 This month Znegil released a companion My Little Pony papercraft... Pinkie Pie! Pinkie has been described elsewhere as "a very exuberant, enthusiastic, happy, silly, talkative, jolly, and giggly pony." Znegil says the project took him 50 days to complete. If you dare build one yourself, the template is located here.